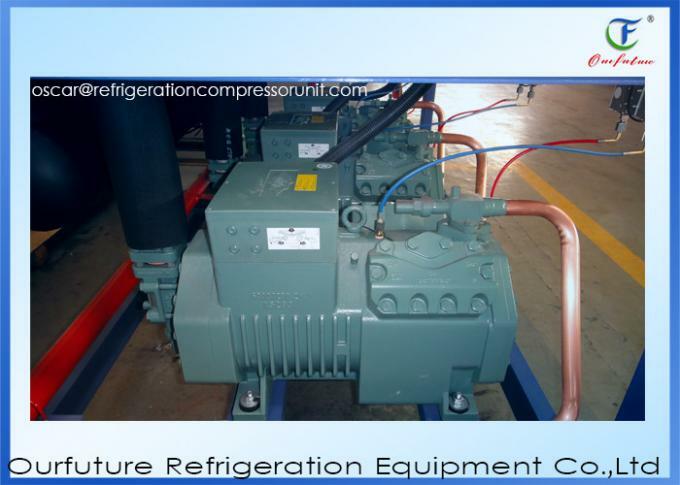 Through parallel connection, the unit will automatically change the working numbers of compressor depending on system load, which can save your running cost. 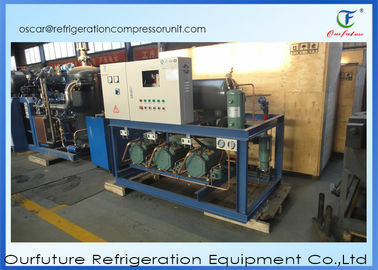 Once one compressor has failure, the rest could run normally until the broken one is repaired. 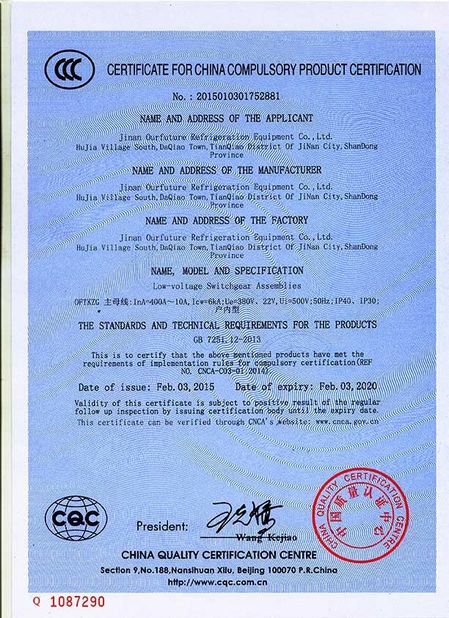 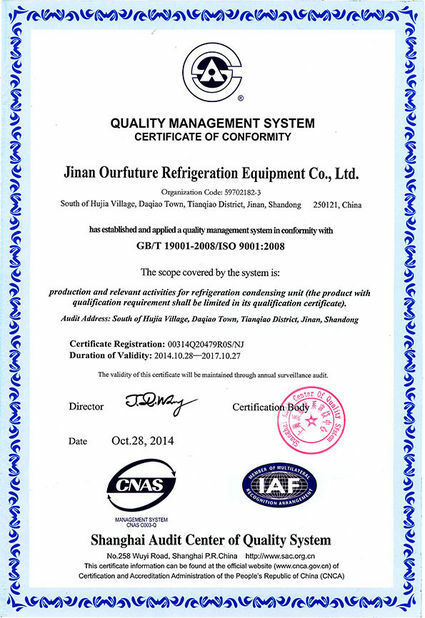 Design was paid attention to system reasonability, and the unit could be located in front of or behind cold room without special machine room. 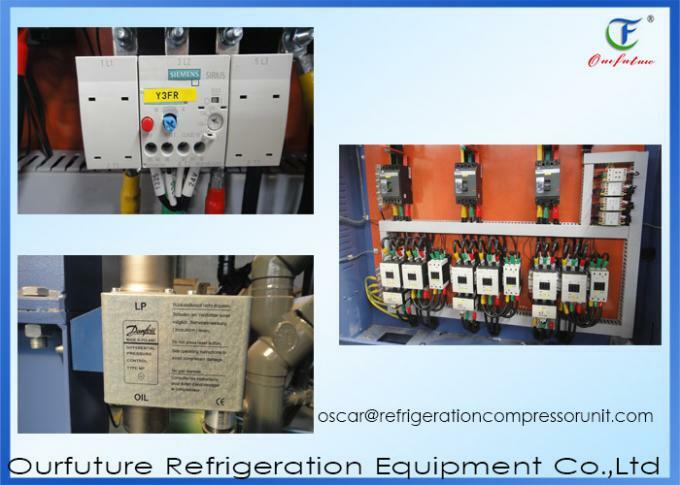 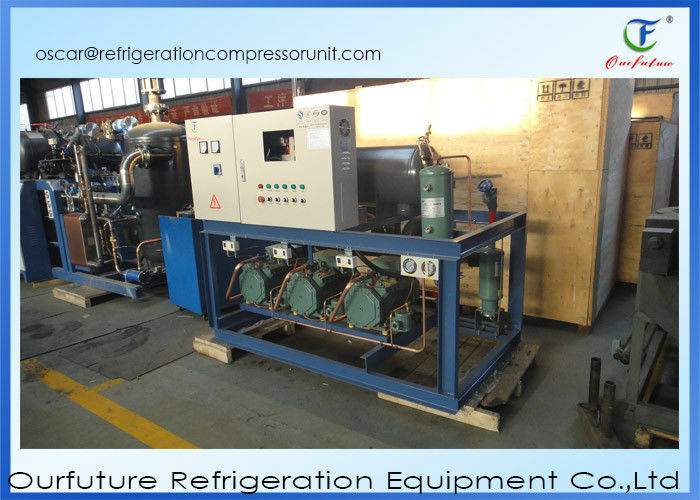 Include bitzer compressor,oil seperator,oil filter,liquid receiver,PLC touch screen,high and low pressure pauge,dial,pressure controller,temperature controller,under frame,filter direr,suction valve,stop check valve,electric control box.